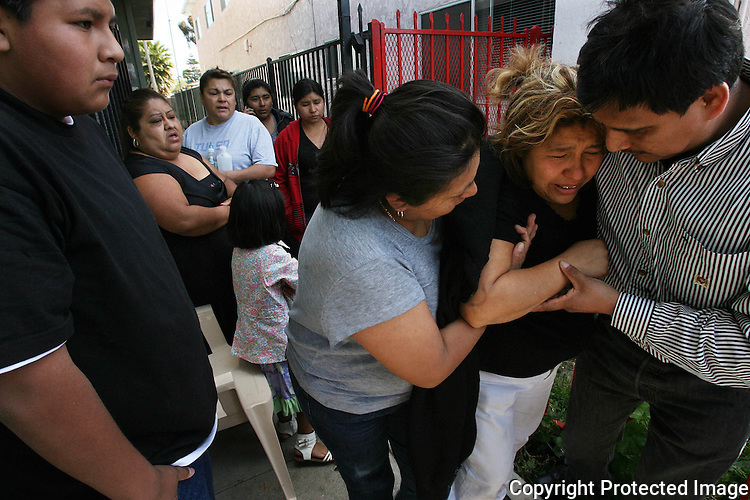 Maria Perez, mother of shooting victim Antonio Carachurit, 17, is assisted leaving the scene of the shooting in Oceanside, California, in March, 2012. "She has been crying all night," said one of the victim's cousins. for the North County Times.